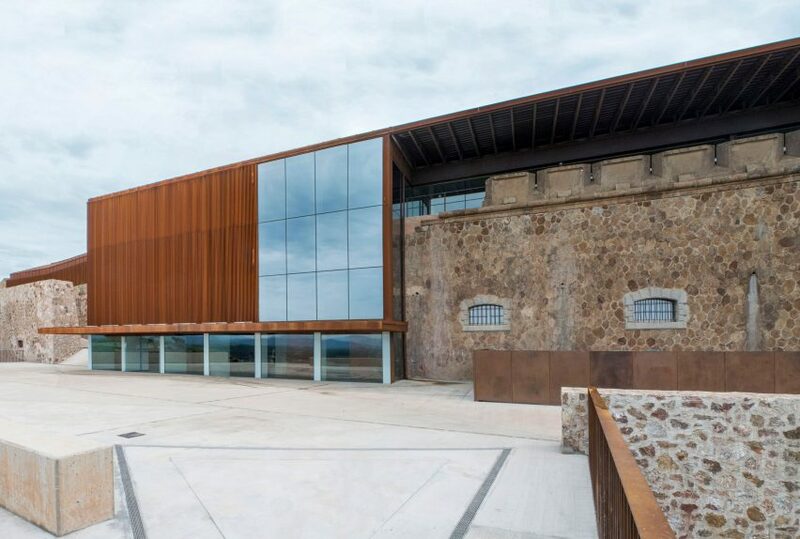 Fuses Viader Arquitectes has transformed a 19th-century fortress near the Spanish city of Girona into a museum and hotel complex featuring concrete, glass and weathered-steel. 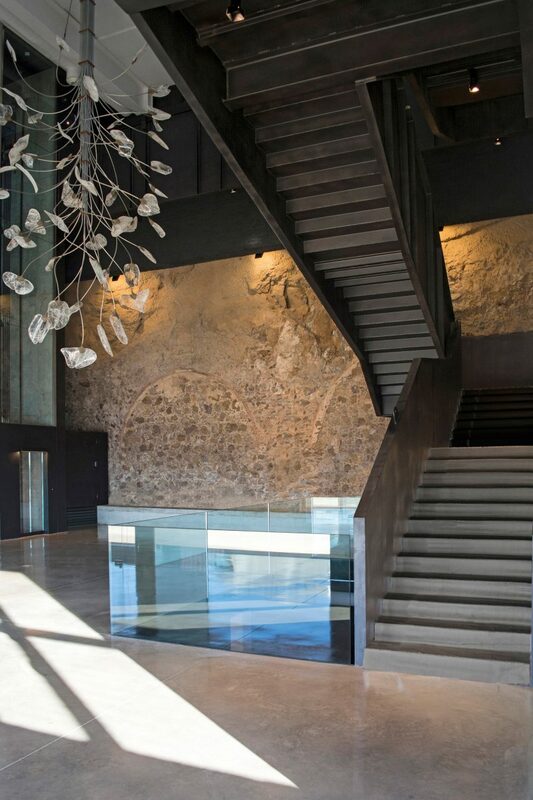 The former fortress of Sant Julià de Ramis was deserted before its new owners, the Barcelona-based D’or Joiers jewellery company, commissioned Fuses Viader Arquitectes to oversee its renovation. 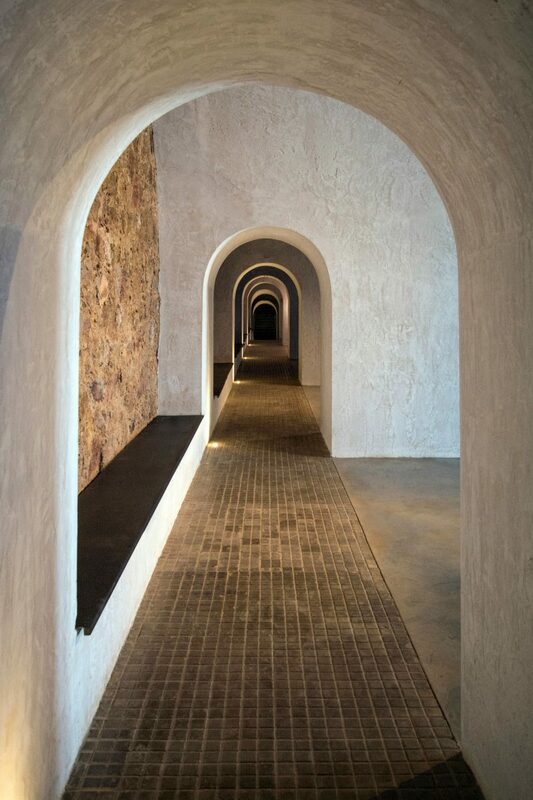 Located in the village of Sant Julià de Ramis, to the north of Girona, the fortress now contains the D’or Museum. In addition to the cultural facility, the complex contains a hotel, two restaurants, an auditorium and artists’ studios. 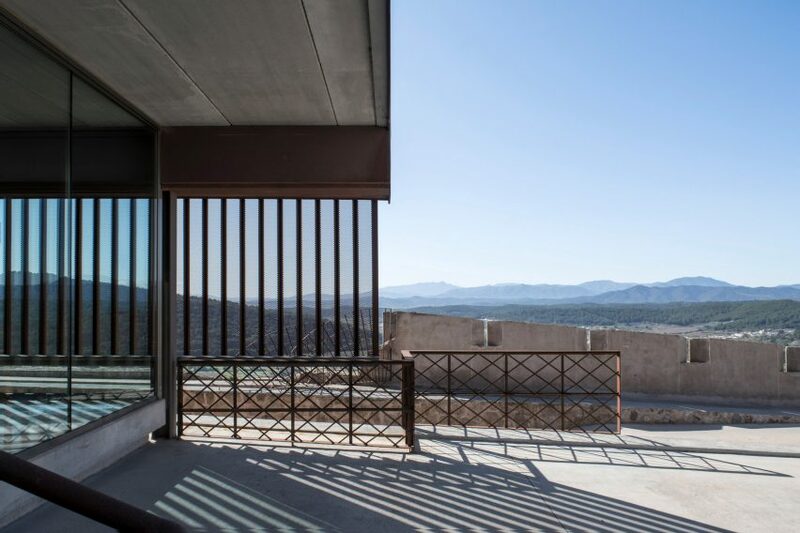 The building takes advantage of the fortification’s hilltop site, which commands panoramic views of the surrounding countryside. Many of the existing vaulted spaces are partly submerged in the mountain and connected by a series of tunnels. These rooms are enclosed by thick walls made from solid stone, which the architects endeavoured to retain and incorporate into the updated scheme. In areas requiring additional structural support or new building work, reinforced concrete and a palette of complementary materials was used to maintain a sense of consistency between the old and new parts of the complex. 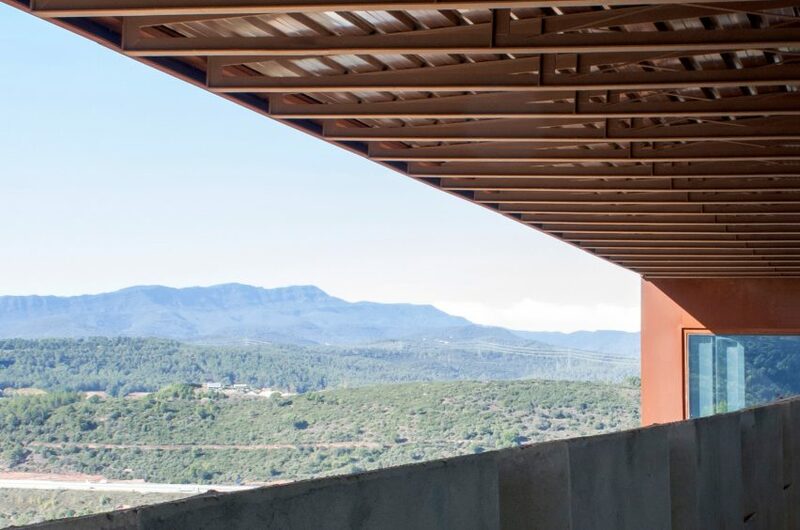 “Being a project that combines restoration and new construction, there are two basic building solutions,” explained Fuses Viader Arquitectes. “The prominent one keeps the austere fortress spirit of the existing castle, with half-buried walls and green roof covered with soil and vegetation”, the studio added. The mostly subterranean spaces on the lower level accommodate the museum, which is entered through a steel-lined portal set into the stone walls. 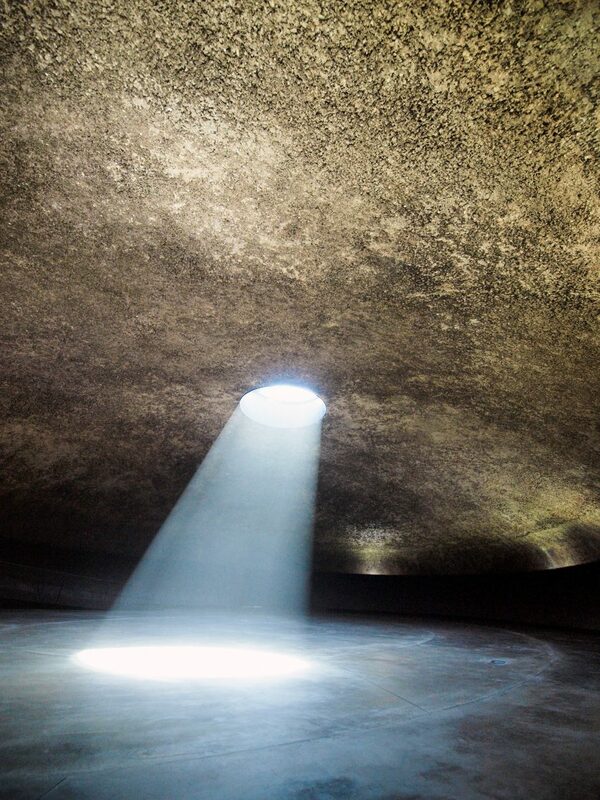 The museum’s lobby provides access to a range of spaces including workshops, a cafe, and a domed auditorium with an oculus set into its reinforced-concrete ceiling. Stairs lead up from the lobby to the main exhibition spaces, which are accessed from a series of arcades and vaulted corridors. At the top of the building is the fort’s former stronghold, where explosives were once stored. This area now accommodates the hotel, with its meeting room, pool, spa, private garage and 15 rooms. 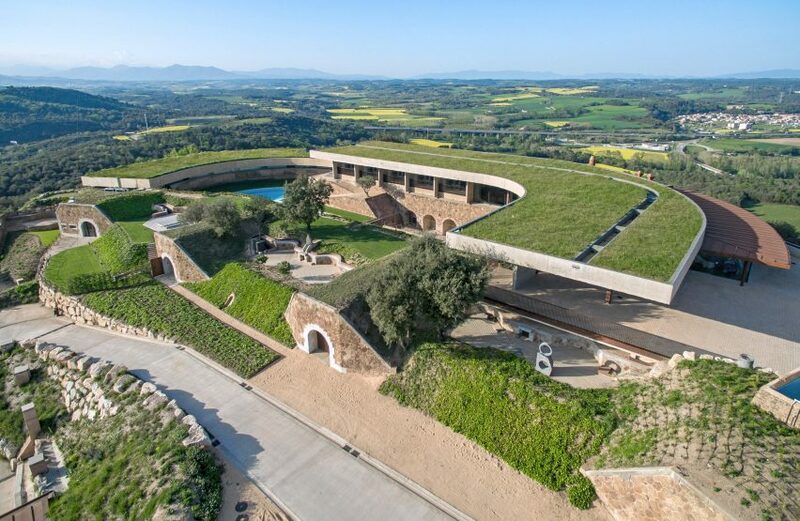 In addition to respecting the architectural heritage of the original fort, the building seeks to merge with the landscape and is largely topped with turfed roofs that form a series of green terraces when viewed from above. Curving concrete volumes set on top of the existing stone walls wrap around a secluded garden and swimming pool. The uppermost floor contains several suites alongside a restaurant headed by three Michelin-starred chef Jordi Cruz. This design by Joe Shih Architects and Riken Yamamoto & Field Shop for a museum in Taoyuan, Taiwan also features sloped green roofs.